From a special family get together or birthday, bridal event, to a meeting of the minds. 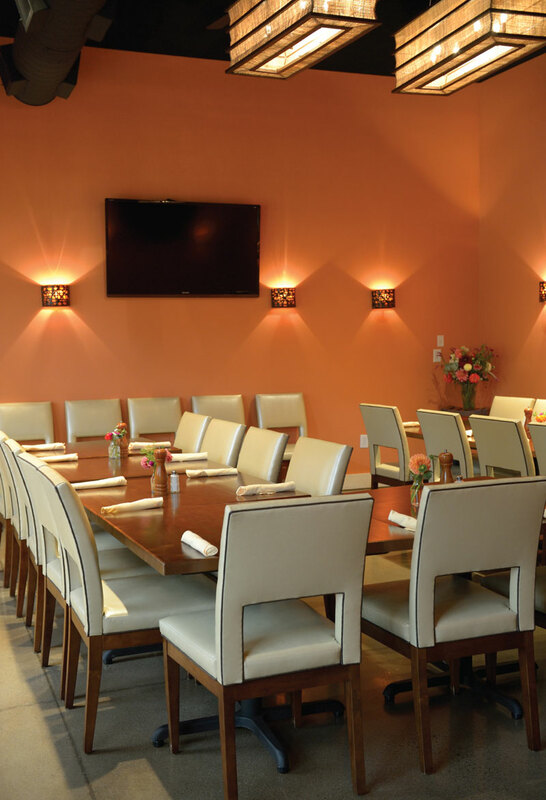 The private dining area/meeting room at J Pepper’s offers just the right finesse for a great event or meeting. J Pepper’s will set up the room to your specification and help you plan your event with special dishes or just have your guests order from the menu. Our service includes our team of superior personable servers. Our private meeting/dining room seats up to 35 people and features the latest high tech audio/video equipment for your use. Designed for special times, J Pepper’s private dining area/meeting room is ready for your event. Some restrictions do apply. Monday through Sunday from 11 am until 4 pm: $50 Room Setup Fee. Sunday through Tuesday from 4 pm until 10 pm: $200 Food & Beverage Minimum. Wednesday through Thursday from 4 pm until 10 pm: $300 Food & Beverage Minimum. Friday through Saturday from 4 pm until 10 pm: $500 Food & Beverage Minimum.